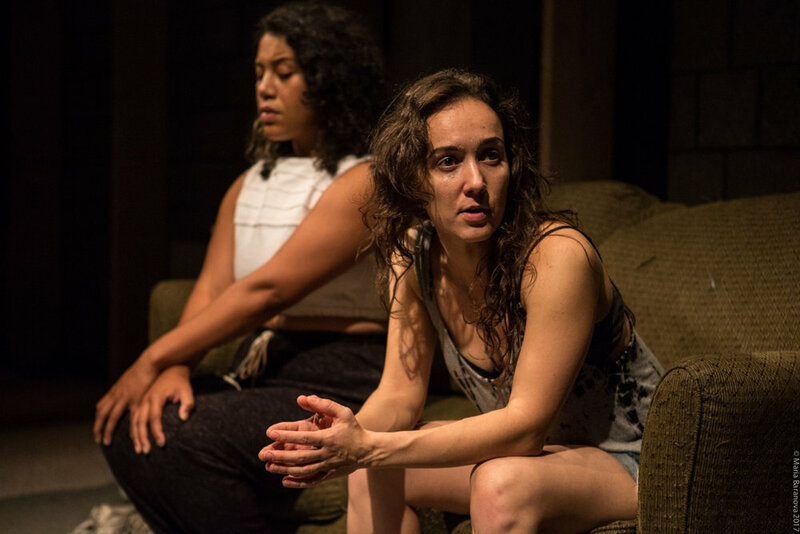 The Power of Emotion comes out of several years of conversations between Katie Brook and Shonni Enelow about acting and emotion in historical and contemporary theater. We are both former actors, and both interested in the ways emotion on the stage can be variously subversive and normative. Shonni's book Method Acting and Its Discontents: On American Psycho-drama was one focal point of our discussions. The project first took form with an adaptation of Richard Boleslavsky’s 1933 acting manual, Acting: The First Six Lessons (NYU-ETW, 2013). 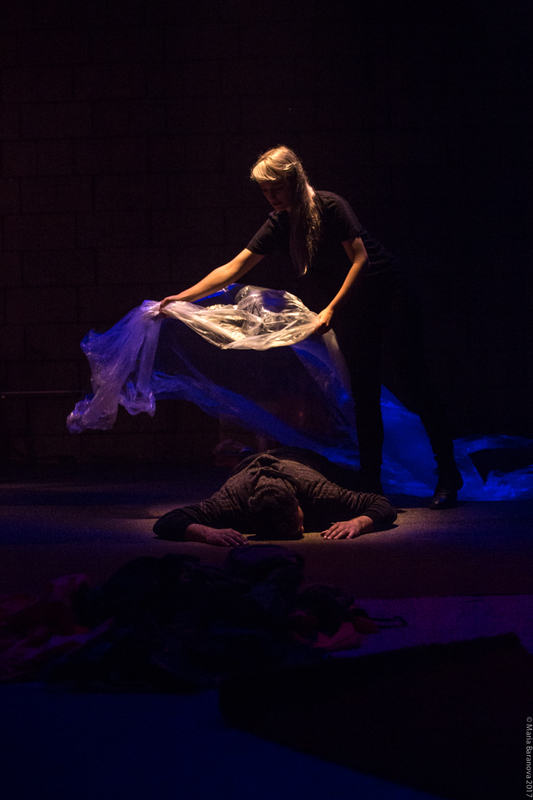 Following this production, we named the project The Power of Emotion, taking the title from Alexander Kluge’s experimental 1983 film Die Macht der Gefühle. We have now created three iterations of The Power of Emotion to date as new works of theater with original play texts written by Shonni, and in the case of the second and third iterations, with original music by composer Taylor Brook. The project's first iteration, The Power of Emotion: Breakfast, was developed during Chashama’s Summer Performance Residency in 2014; the second iteration, The Power of Emotion: Actresses was presented at Under the Radar: Incoming! 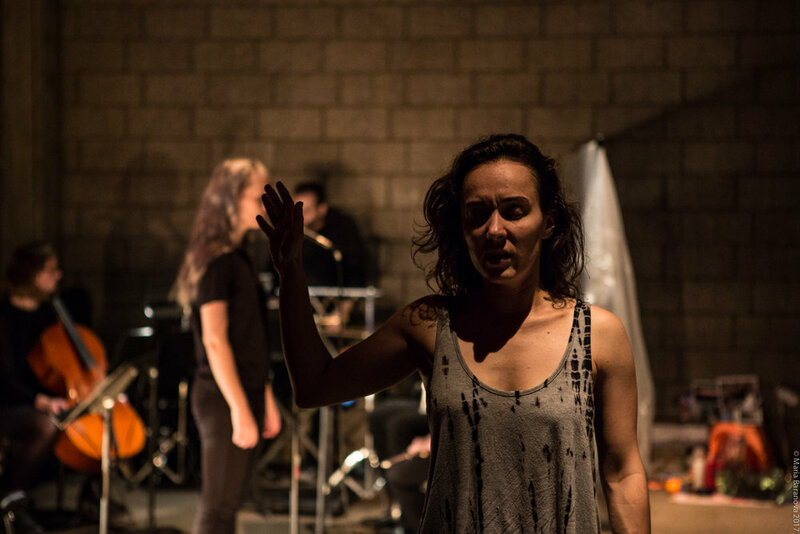 and in concert at Firehouse Space in 2015; and the third iteration, The Power of Emotion: The Apartment was commissioned and presented by Mount Tremper Arts and Abrons Arts Center in 2017. The Apartment—the project’s third and final iteration—is informed by an Alexander Kluge film of the same name, the director’s experience as a juror on a criminal trial, various operas including Wagner’s Ring Cycle, and an ongoing exploration of acting style and method. Musicians and actors take center stage in this story of a fight between two women that leads to an apartment fire. Performed by Katiana Rangel, Lucia Roderique, Charlotte Mundy, and TAK ensemble. Commissioned and presented by Mount Tremper Arts and Abrons Arts Center, 2017.